The Supreme Court made an interesting decision today to let all of ObamaCare stand! The Justices concluded that the American people voted for Obama and the Democrats who invented and passed this program into law and it’s the American people who should change the law by voting for others, or not! Apparently the “Tax Clauses” in our “Living Constitution” are now so broad that there isn’t anything we do, or don’t do, that does not involve "taxation" and therefore can be controlled, denied, required and taxed by the federal government. The Court stated that the "Commerce Clause" was not the bais for their decision, however, the very basis of the law was that people who do not have insurance become part of healthcare commererce when they go to an emergency room for service. Seems like a long stretch to extend the "Tea Tax" and the "Stamp Act" which involved taxing purchased merchandise to someone for not purchasing insurance; and weren't these taxes the basis for something called the American Revolutionary War? This decision certainly raises the reach of the federal government well beyond anything before it and makes “1984” a reality going forward. After all, it’s the IRS that will be the financial managers for ObamaCare and they have already begun to spend $880 Million just to get started. Based on the 2010 election results and this years election results it will be interesting to see if Virginians embrace their 2008 choices or reject them. Either way, wiping out ObamaCare and starting over is extremely unlikely. Something about horses out of the barn. Romney on the campaign trail in Salem Va. said US can restore greatness. Perhaps he was reflecting upon Tom Brokaw’s book about the WW2 American people as “The Greatest Generation”. Perhaps he was flashing back to Reagan’s “Shining City on The Hill. However, current national and international events and this week’s big wins by the Liberal Progressives does not support this optimism for America’s future greatness, exceptionalism or world leadership. Perhaps we might reflect instead on a phrase by Alan Greenspan, the chairman of the Federal Reserve, about "irrational exuberance" and "excessive optimism". We are being driven down the road to a European model of socialism and mediocrity and complacency. Can anyone name a major society that employed socialism to achieve exceptionalism and as one looks at Europe, is this the best we can do for our future generations? 1) Three Federal judges concluded that since the voters had installed a Democrat Congress and a Democrat President that are using the federal government’s EPA to totally control the country’s energy systems by banning CO2, a major byproduct of utilities burning fossil fuels, therefore it’s OK with them. 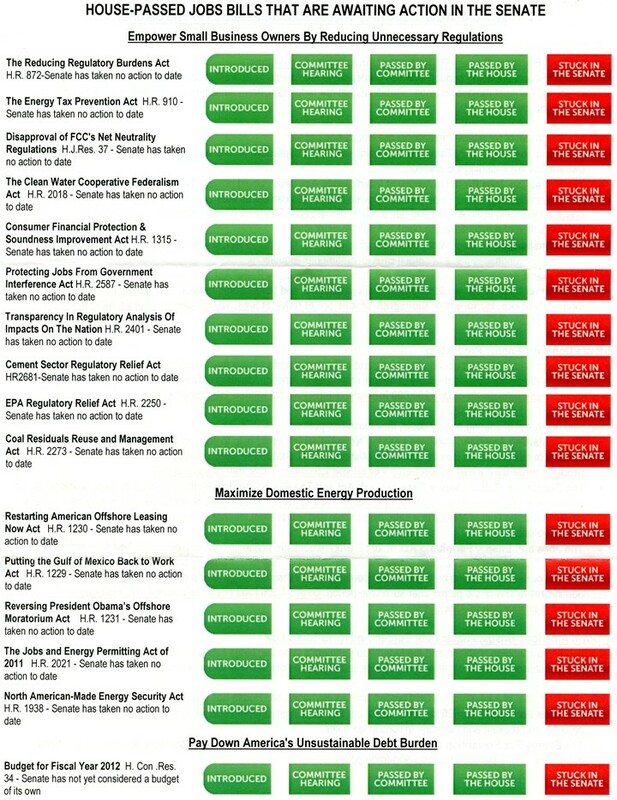 After all the issue isn’t weather or not CO2 causes global warming, the issue is that the American people have voted for those who are implementing these programs. At any rate the judges and the EPA have no responsibility, accountability or liability for American jobs, global warming, energy prices or its availability. If the American people voted for this path – then it’s OK with the judges and the law. Interesting Question: do the American people know what they voted for? 2) The Supreme Court ruled that it’s OK for the federal government to not enforce federal laws governing the 12 million illegal immigrants who have occupied this country and it’s not OK for any states to impede these immigrants from causing major negative and adverse impacts upon the legal residents of the states or to try to supplement the federal governments enforcement of the national laws. Obama, who has decided not to enforce these federal laws, quickly jumped upon that big win to stop Arizona from receiving data from the federal government that identifies known illegal immigrants. 3) The US military held major public events enhancing and embracing the status and stature of homosexuals in the armed forces and thereby embracing their sexual behaviors. In addition to these major liberal progressive achievements the Obama administration has decided not to enforce or defend the federal law entitled “The defense of marriage act” that embraces the concept that marriage is a one man one women relationship. Obama has also decided to throw a cloak of secrecy over the FastAndFurious illegal gun running investigation by exerting “executive privilege” to ensure that the public remains in the dark about the extent of the administrations’ malfeasance and cover-up. Perhaps we have reached a “tipping point”. Not with global warming but with a personal and institutional and governmental slide into mediocrity and dependency and diminished values. The American people have the ability to vote and therefore they can have a major influence in their future. Hopefully they will use their votes wisely for so many have paid a very dear price for this very special experiment called America. Our current path is clearly not leading to greatness and the standard of living and quality of life of our future generations will clearly not be in a sequel to Tom Brokaw’s book. How sad! Roanoke Times, 6-25-12, Pg 1, 3: Egypt gets first elected leader. What an amazing article, totally coating over this major disaster in the Middle-East and massive failures of Obama’s so called foreign policy. • This outcome is totally counter to all the positive hype about the Arab Spring – a much better title would be the new Arab scorched earth. • Where’s the reality of women and Sharia Law? • Where’s the reality of peace with Israel and US-friendly countries? • Where’s the containment of Radical Muslim Terrorists? • Where’s the hopes and aspirations of the young people who fought and died on the streets of Cairo for a better, open and freer life. The only real hope now for US peaceful interests in the Middle-East is that “The Military” will control the Egyptian government – just how ironic is that? Hosni Mubarak, where are you now that we really need you? Obama and Hillary have proven to be totally inept in all the Middle-East activities and have left us in a far more dangerous world than we were in three years ago. However, he not only has ignored the family of Border Agent Brian Terry, who was killed in the line of duty in Mexico by a FastAndFurious government sanctioned gun transfer to Mexican drug-terrorists. He has also disrespected them by now formally and officially covering-up the: who, how, when, where and why of his appointed officials. Isn’t it interesting that the major liberal news who always expresses such a keen interest in every aspect of Republican activities are totally disinterested in this government malfeasance that resulted in the death of an American law enforcement officer. Obama campaigned on a new open and transparent government as a key part of hope and change. Apparently this openness doesn’t apply when his AG Holder, his ATF and his White House Staff are involved in a criminal homicide. On the other hand, this is totally consistent with the Chicago way of doing business that raised, nurtured and promoted him to his current level of incompetence. The Obama and liberal media hypocrisy just gets better and better. Important attributes for scientists are: intellectual curiosity, adherence to “the scientific method”, placing facts before emotion, suppressing preconceived assumptions, and tolerance for the views of contrarians and skeptics. Unfortunately many of those who follow the AGW-Man-made global warming and climate change school do not adhere to these basic concepts. 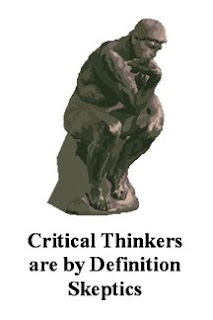 In addition to all the nasty name calling by some of the AGW-Alarmists that Skeptics are: Deniers (as in Holocaust), Racist (as in KKK), Flat-Earthers (as in Ignoramus’), Traitors (as in Benedict Arnold), and others too unpleasant to repeat; the real nasty deal is the movement to deny Skeptics media coverage, access to tax-paid data and research, research grants, and most daunting the targeting of those who do not sign-up to the Al Gore view that global warming is a crisis and is "primarily caused" by man-made CO2 are to be banished, shunned and driven out of their jobs and positions of public exposure. The latest, current, example is Oregon State University chemistry professor Nicholas Drapela who was fired without warning three weeks ago and has still been given no reason for the university’s decision to “not renew his contract.” Drapela, an outspoken critic of man-made climate change, worked at the university for 10 years. The University of Colorado also fell in line with the Gore-machine with their treatment of Prof. Bill Gray; the most experienced and qualified hurricane scientist and forecaster in the USA. RICHMOND- Governor Bob McDonnell today issued the following statement on the University of Virginia presidency. He also sent a letter to the Board of Visitors this afternoon. The letter is available here: http://www.governor.virginia.gov/utility/docs/LetterToUVA-Board.pdf. In the letter, Governor McDonnell writes: "But let me be absolutely clear: I want final action by the Board on Tuesday. If you fail to do so, I will ask for the resignation of the entire Board on Wednesday. Regardless of your decision, I expect you to make a clear, detailed and unified statement on the future leadership of the University." Roanoke Times, 6-19-12, Pg 1, 12: Campus roiled by board’s actions (to remove UVa President). Based on that statement it’s clear the Governor should replace the entire board and appoint members who do exercise direction over a system that it totally out of financial management controls. No wonder the tuition costs are exploding way beyond the inflation rate. And whatever happened to economy of scale? Shouldn’t unit costs decrease as volume increases? Apparently not at UVa! Courses should be dropped and tenured obsolete practitioners with them! Why aren’t most textbook now online? Why aren’t most courses keyed to the coming job opportunities? Why has Pres. Sullivan spent over one-half million tax dollars fighting the Mann-FOIA requests? Just release the documents as required by Virginia Law! She should be fired for that malfeasance alone! Our public colleges and universities are totally out of fiscal control and accountability. We need to install business people into the management structure who understand the basic concepts of value and productivity and have a track record of making sound business decisions. Having tenured faculty in charge of the universities is like have the inmates in charge of the asylum. The Editors of the RT are indeed onto something with the term doublespeak, however, their 1984 flashback misdirects the term; but then again, that’s what doublespeak does! Global warming, climate change and ocean rise are all used as doublespeak by the alarmist community and their media friends as meaning man-made, man-caused, man-kinds folly. These terms are only scientific terms when detached from the Goreite political agenda. That is where the doublespeak started and continues today including this RT editorial. The RT publishes lots of graphics; however they find it impossible to publish data and graphics when promoting alarmist agenda items. 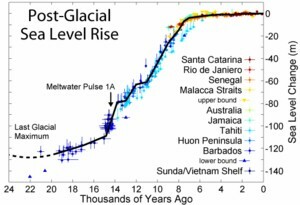 Here are two scientific graphics of the history of sea level rise over the past 24,000 years and a more detailed view of the past 130 years, all of which shows a steady rising sea level with no indication that it is man-caused. 16,000 years ago the North Carolina Outer Banks were 50 miles out at the continental shelf because the ocean was 400 feet lower that it is now. It is indeed doublespeak or worse to claim this is man-kinds doing. The other interesting aspect of nature is the variability. 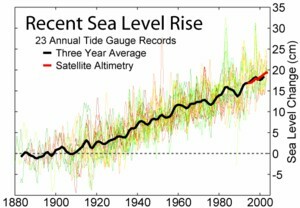 The RT failed to ever mention that back in Sept 2011 there was published data and a graphic from NASA shows sea levels have dropped 6 mm in the last 6 months, wiping out the rise over the past 2 years. The data indicated we will have two years in a row of significantly reduced increases in sea level rise compared to the 130 year historic rate of 8 inches rise per century. The Climate is Changing – The Climate has always been Changing. The Sea Level is Rising – The Sea Level has been rising for 20,000 years. So who are the ones using doublespeak and misdirection and misrepresentation? HBO and producers of “Game” apologized Thursday for a scene that depicted former President George W. Bush’s severed head on a spike. These “games” are played by many impressionable youngsters! How is this image affecting them, especially those on the edge of instability? What is it about the left-wing wing-nuts that causes them to publicly display such vitriolic dialogue and why doesn’t the liberal-press address these transgressions of public decorum? Apparently the left-wing has a dispensation from accountability by a media who through their inaction aids and abets these gross behaviors and the resultant issues. Apparently the Editors of the RT, through their silence, find this to be OK. How sad and biased. One can only imagine the reaction if this were a depiction of Obama's head! The following blog-news items are just the tip of the iceberg of the extent and pervasiveness of this situation. How sad for our culture and our people, especially our children. This is a most interesting summary of “recent” temperature history and may cause one to think that following the weather is like following the stock market – it’s always changing and the reasons are dependent upon who is telling the story. This article reminds us of recent media articles that have told us that 2012 is starting out to be the hottest year in “recorded history” (caused by AGW man-made global warming – and it’s your fault). It turns out that contrary to the implication, recorded temperature history is not that old. It’s difficult to find reliable and accurate instrument temperature data before the 1900’s. Indicates the oldest available date for instrument temperature for Va. weather extremes was 1899. So -- recorded temperature history started when my parents were born! Shines a whole new light on the term “recorded history” doesn’t it! When we read the “news” and listen to the “consensus talkers” refer to recorded history they are not even relating to the Little Ice age (that ended about the time of the US Revolutionary War, and clearly they are not considering the prior Medieval Warm Period that enabled Europe to prosper and develop and flourish. Perhaps the term “Recorded History” should be confined to information like that found in cave drawings, hieroglyphics, the Dead Sea scrolls and the Old Testament. Using the term “Recorded History” for instrument temperature data may be an attempt to impress people, but it is clearly not appropriate. Recorded Temperature History starting in 1899 Is Not That Old and not that impressive relative to the millenniums of earth’s climate cycles! The climate is changing; the climate has always been changing! Roanoke Times, 6-10=-12, Pg 10: Headline: CONTRACEPTION: Protesters rise against insurance requirement. Who writes these misdirected headlines? It's not the insurance stupid -- it's about the Constitution! And the key quotes are from Congresswoman Michele Bachmann. Isn’t the best news source from the people who filed 43 lawsuits against the Obama administration including all the major religious organizations in the country? Washington Post, May 23, by Cardinal Donald Wuerl is archbishop of Washington. This lawsuit, filed Monday by the archdiocese and other Catholic organizations in our city, is not about contraception. Women are free to obtain and use contraception. The assertion that these products are hard to obtain or expensive is not true. Nothing in this lawsuit challenges women’s right to obtain these drugs and procedures. Why is Obama and associates dictating what religious organizations must do relative to things in conflict with their beliefs? Haven’t seen Obama passing laws forbidding Muslims from wearing burkas thereby hiding one’s face in public. Haven’t seen Obama passing laws forbidding Muslims from teaching violence at their Madrassa’s. Haven't seen Obama passing laws forbidding using Sharia Law as the Muslim alternative to US law. Haven’t seen Obama passing laws for something simple, like English is the official language of the US. The Roanoke Times and their liberal-progressive major media associates have imposed a black-out on the 43 Federal Lawsuits files against the Obama Administration. Apparently the breath and scope and depth of the filing coalition are not helpful to Obama’s reelection programs -- therefore – it didn’t happen. Something about a tree falling in the forest. University of Notre Dame Law Prof. Richard Garnett said in a statement that the mandate could affect a range of religious institutions, including "schools, health care providers and social welfare agencies." On a separate track, officials at a Florida Catholic university decided Monday to drop student health care coverage, becoming the second school this month to make that call. The decision at Ave Maria University was based in part on objections to the contraception rule, but also on projected increased premium costs tied to new rules in the federal health care overhaul. Perhaps there are those in this country who still take both their religious beliefs and the 1st Amendment to the Constitution seriously. The Founders made it the 1st! They must have thought that it was important. Oh right, The Constitution is a “living document” and doesn’t really relate to today except of course when it comes to things the media holds dear then their interpretation is chiseled into granite. Then, after all these gross violations of the original contract (FICA), the Democrats turn around and tell you that the Republicans want to take your Social Security away! The Trustees of the Social Security so called Trust Fund have announced that the fund will run out of money in 2033 and benefits will have to be massively reduced consistent with payroll deductions at that time. Not found in the Roanoke Times – apparently deemed a negative to Obama’s reelection. Faced with Emails obtained by Congress that grossly contradicts Obama Attorney General’s prior sworn statements to Congress about the Fast&Furious Gun-Running fiasco; Eric Holder suddenly has a massive attack of Amnesia while supposedly testifying before Congress today. What a disgusting spectacle to watch our Nations Chief Law Enforcement Officer behaving as if he were about to be indicted for lying under oath to Congress. Apparently he and Roger Clemens coordinated their stories as they rode in together. It appears almost certain now that Holder will be held in Contempt of Congress and perhaps worse. It’s also probable that Holder will soon play the race card claiming all this is profiling and racist harassment. Junior, we had a war in 1812. Apparently most students missed history class the day that was covered! Who did we fight? Was that important? Why yes Junior, a number of important events transpired. Our Congressman John Randolph of Roanoke was a major force against going to war and opposed a declaration of war against England. However, the war hawks persevered and President James Madison presented the case for war to the Congress and then signed a Declaration of War. Col. Andrew Jackson became a hero in the battle of New Orleans against the British invaders. I thought that happened during the Revolutionary War in 1776. Yes Junior that was the first time we fought the British, 1812 was the second time. Apparently they didn't like us back then. Google: (YouTube War 1812 New Orleans) for lots of good historical videos. Here in Virginia the British sailed up the Chesapeake and camped, regrouped and staged their attack upon Washington at Tangier Island. Not sure how that impacted the soft-shelled crab business at that time. The British then sailed all the way up the Chesapeake to Bladensburg, Md. No Junior the Bridge-Tunnel was not there yet. At the mouth of Patuxent River they defeated a small fleet of U.S. boats and established a base to launch their attack upon Washington. 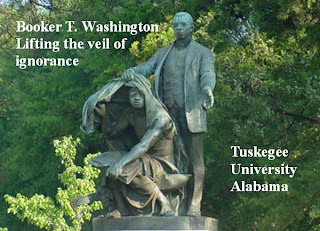 President James Madison and his Sec. of Defense were unable to mount a significant defense of Washington. Not clear why? Lot’s of finger pointing. Seems like it should have been possible given that the British had no significant artillery or cavalry, they were primarily sea-sick infantry that literally walked into Washington and burned down the Capital. Something about cutting way back on the Defense Budgets and too preoccupied to ask neighboring states for their National Guard. As the British marched into Washington, all the big-wigs (play on words) bugged out leaving Dolly Madison to collect and pack-up and haul-out in horse-drawn wagons all the vital and historic documents, artifacts, paintings and official materials of the White House and U.S. government. It certainly isn’t clear why JMU isn’t called DolleyU – after all – she was the hero! The British also sailed into Baltimore Harbor and laid siege (fired big cannons) upon Fort McHenry. Francis Scott Key was there and became so overwhelmed with the massive 4th of July type display that he wrote the poem that became our National Anthem. Yes Junior, that’s the song that Obama doesn’t like because it’s too militaristic. He only listens to it when he’s raining drone missiles upon unsuspecting folks on his “kill list”. So that’s it Junior! The War of 1812 in cliffs notes brevity. Too bad Americans know so little about our history. Apparently this stuff is too Politically Incorrect to be in the public domain so don’t expect to see it in the Roanoke Times. Wisconsin Republican Governor Scott Walker and his team beat-back Obama and his labor union armies in a fight for who best represents the taxpayers of Wisconsin. The liberal news media’s coverage and excuses are so lame they’re laughable. Obama and his Union friends and associates attacked, via recall elections, six of the Wisconsin State Republican Senators with $30 MILLION dollars and an army of union organizers from major union centers from Minneapolis to Chicago to Gary Indiana. Today marks the anniversary of the Allied Normandy invasion of Western Europe and the beginning of the end of the 3rd Reich of Nazi Germany and World War 2. The Normandy Invasion was the largest military amphibious operation ever executed. It is fitting and proper for all free people to take a few minutes to view the D-Day Memorial’s Website in Bedford, Virginia and if possible to visit the site. It is the personification of the phrase: “Freedom Isn’t Free”. 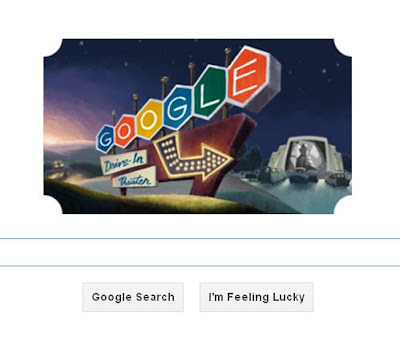 As a side note I am one of many computer users who continue to be very disappointed in the management and leadership of the Google Corp. Their graphically talented team provided the following graphic for their homepage website today: How sad it that! Obama Asks Congress To Act On Jobs -- Why doesn't he just call Harry Reid? Yes there are! And here’s just a partial list of passed and completed steps (bills) that the Republican Congress has voted upon and passed and that have been sitting on Democrat Senator Harry Reid’s desk for months with no discussion, debate or vote. Obama and the Democrats have been hammering John Boehner for challenging the raising of the US Debt Ceiling Again. In retrospect, why aren't they joining Boehner in addressing this disaster. Increasing America 's debt weakens us domestically and internationally. A Harley Biker is riding by the Mill Mountain Zoo in Roanoke, when he sees a little girl leaning into the lion's cage. Suddenly, the lion grabs her by the collar of her jacket and tries to pull her inside to slaughter her, under the eyes of her screaming parents. The biker jumps off his Harley, runs to the cage and hits the lion square on the nose with a powerful punch. A Roanoke Times Editor has watched the whole event.